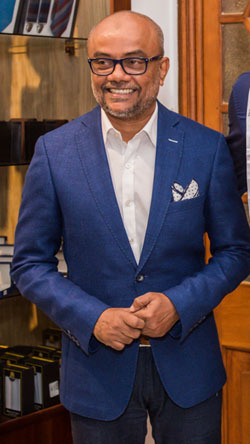 “To be sartorially smart, every Sri Lankan man should refresh and reinvest in his wardrobe every few years,” celebrity fashion stylist and Managing Director of Hameedia, Fouzul Hameed opines. The ‘Refresh your Wardrobe’ campaign is currently operative at all Hameedia branches across the country. Customers receive a Rs. 100 redeemable voucher each for every shirt, pair of trousers and pair of shoes traded in. All items need to be clean and in wearable condition, segregated and packed separately and tagged as follows – male, female, children. All clothes taken in by Hameedia will be given to charity and thus bring a smile to the faces of the less fortunate.